The expected karwa chauth moon rise time today in India is around 08:00 pm (20:00). It is that time of the year again when hundreds and thousands of married women across North India have geared up for the much awaited Karva Chauth. Karwa Chauth 2018 will be celebrated today on 27th October. Every year, all newly married North Indian women look forward to this joyous festival. 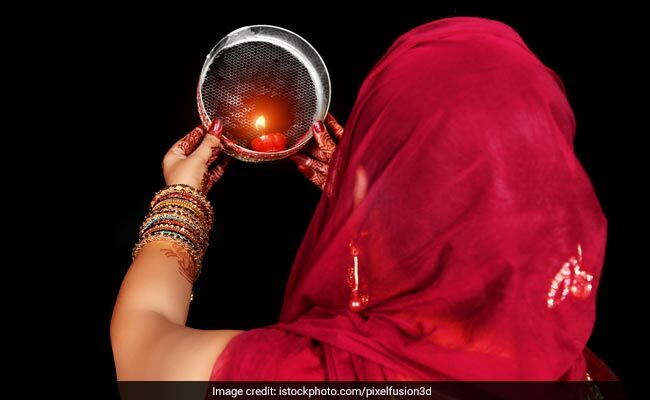 Married women, especially residing in the northern regions of Uttar Pradesh, Rajasthan, Himachal Pradesh, Punjab and Haryana, celebrate the festival of Karva Chauth. As part of the celebrations, married women wake up early in the morning (at sunrise) and eat sargi. Sargi is a pre-dawn meal that is prepared by mothers-in-law in order to bless their daughters-in-law for a blissful marriage. After eating sargi, women observe a nirjala fast and stay without water and food until they spot karwa chauth ka chand. Once the karwa chauth moon is spotted, as part of Karwa Chauth rituals, women offer water to the moon to seek its blessings. Husbands then offer water and food to their wives to break their fast. Once the fast is broken, women enjoy a delightful feast that may consist of variety of delectable delicacies like kheer, chaat, dahi bhalla, chhole and more. Karwa chauth moon rise time varies from city to city. The expected karwa chauth moon rise time today in India is around 08:00 pm (20:00). The moon is expected to rise at 07.55 PM in Delhi. The moon is expected to rise at 08:19 PM in Bengaluru. The moon is expected to rise at 08:30 PM in Mumbai. The moon is expected to rise at 08:26 PM in Pune. The moon is expected to rise at 08:24 PM in Ahmedabad. The moon is expected to rise at 08:09 PM in Hyderabad. The moon is expected to rise at 07:57 PM in Ludhiana. The moon is expected to rise at 08:00 PM in Amritsar. The moon is expected to rise at 07:43 PM in Lucknow. The moon is expected to rise at 08:07 PM in Chennai. The moon is expected to rise at 07:53 PM in Chandigarh. The moon is expected to rise at 08:11 PM in Indore. The moon is expected to rise at 08:29 PM in Kochi. The moon is expected to rise at 07:56 PM in Patiala. The moon is expected to rise at 07:55 PM in Agra. The moon is expected to rise at 07:57 PM in Jalandhar. Disclaimer: The exact moon rise timings may vary.